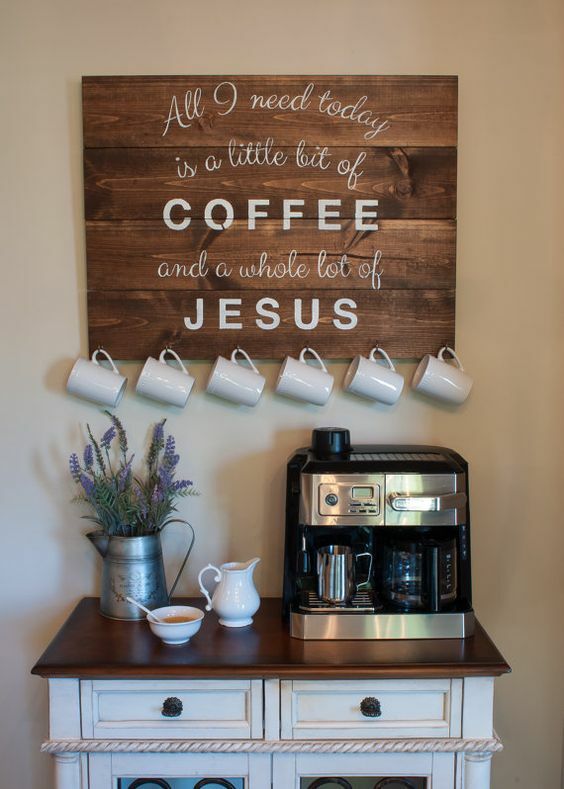 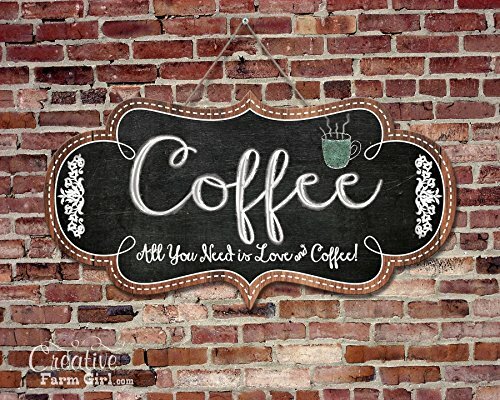 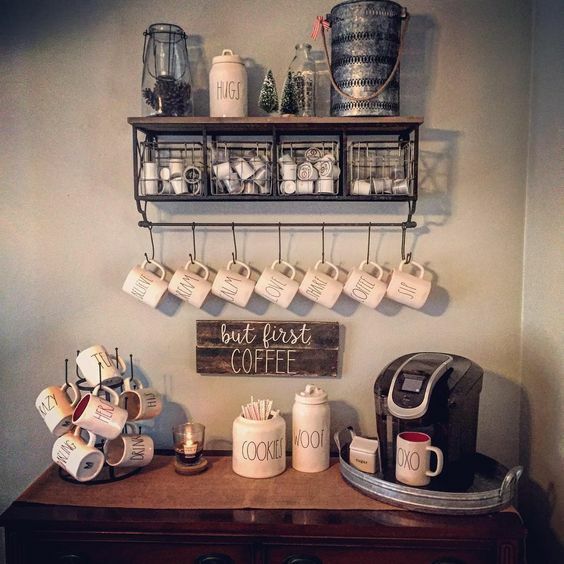 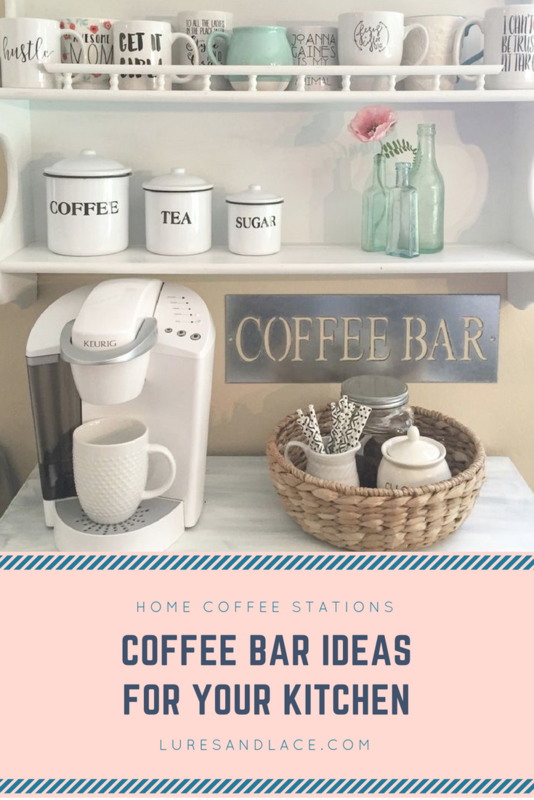 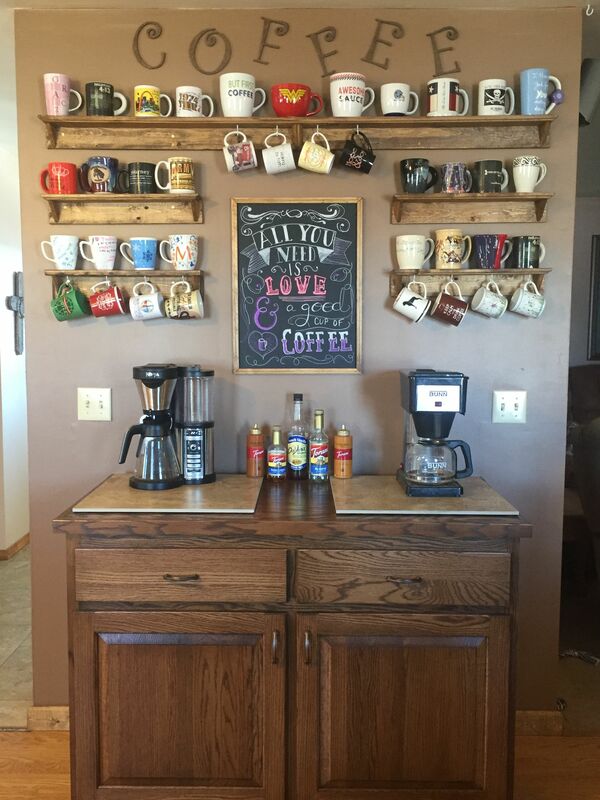 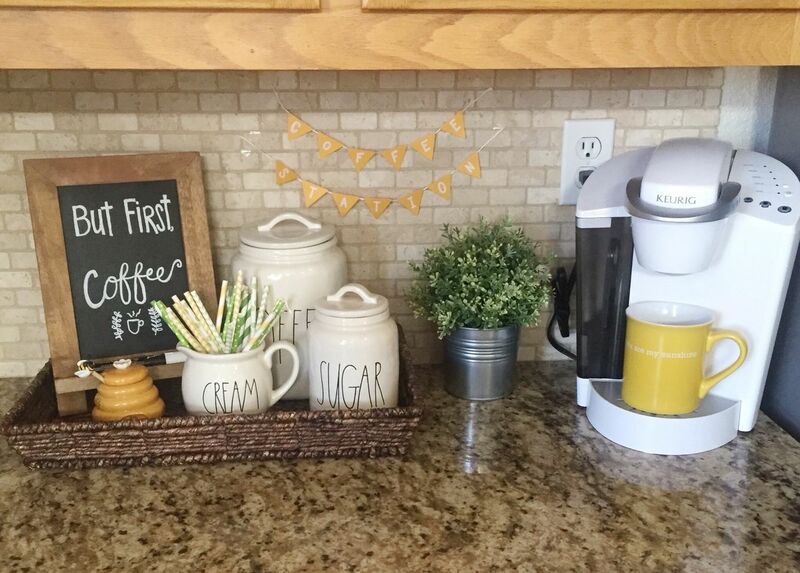 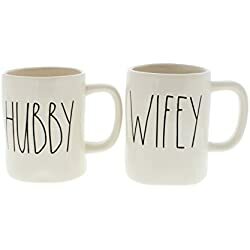 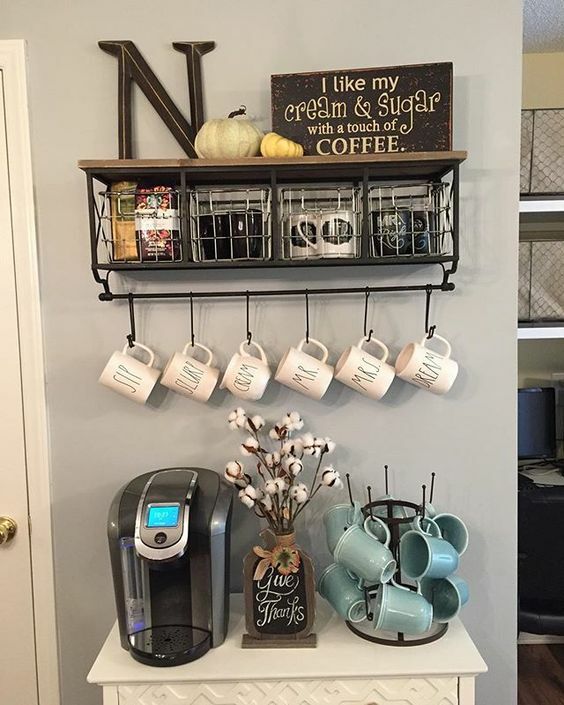 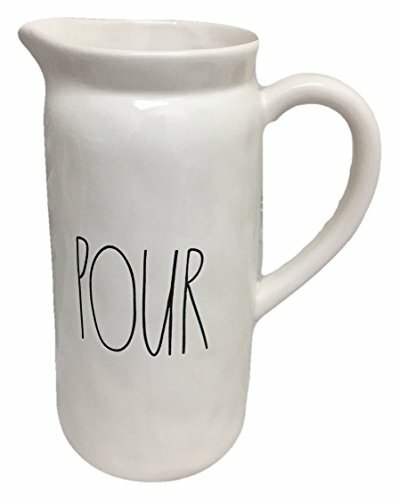 Do you have a coffee bar/coffee station in your kitchen? 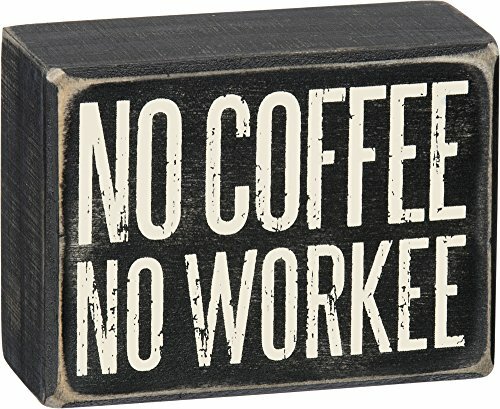 If not, you need to see this! 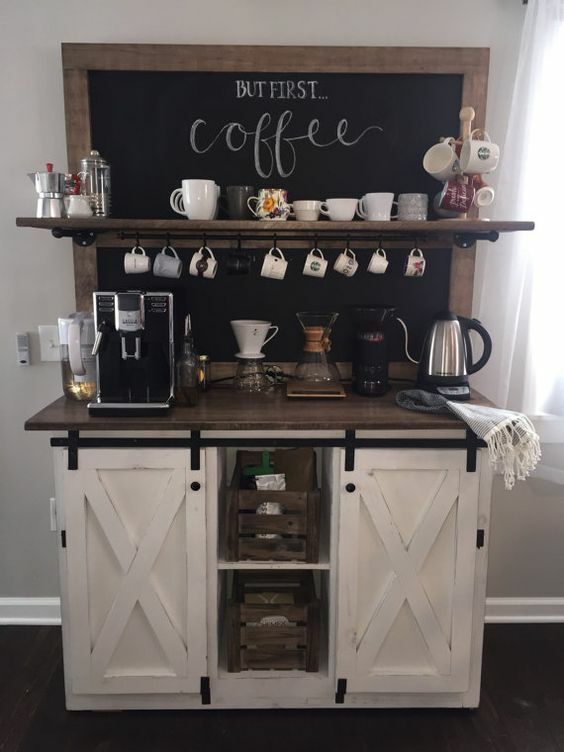 I actually have this cabinet that would be perfect for a small coffee station! 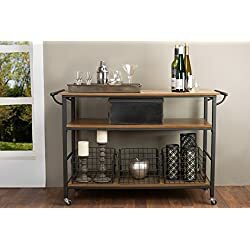 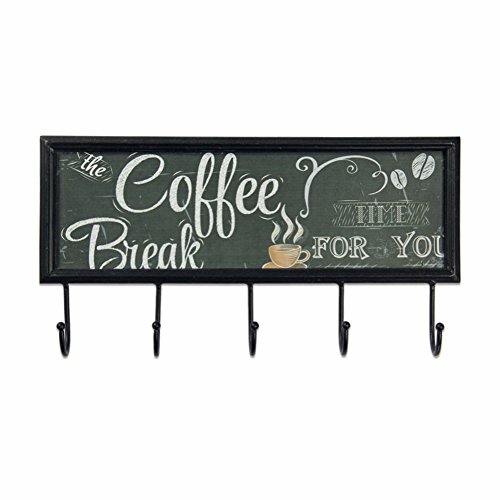 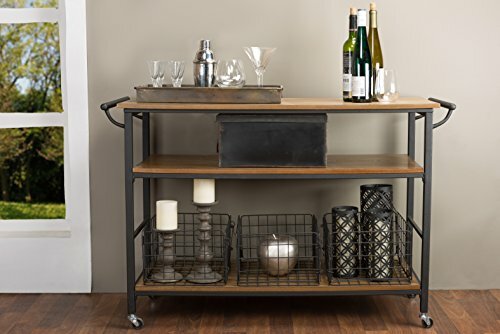 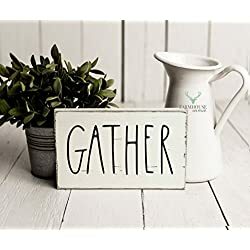 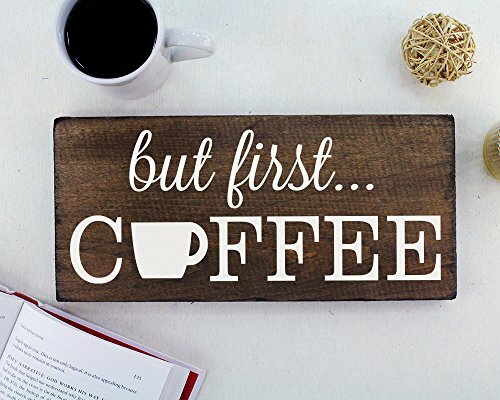 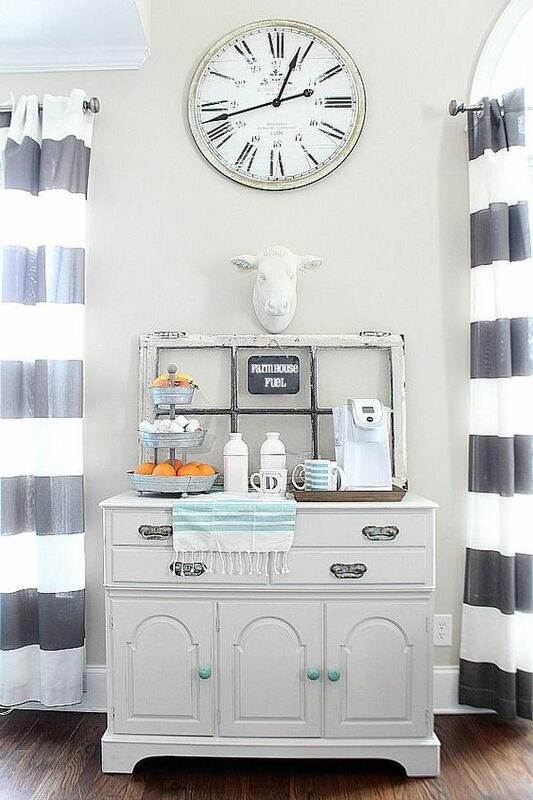 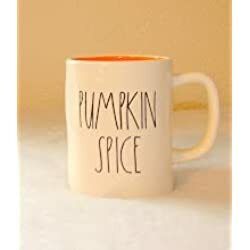 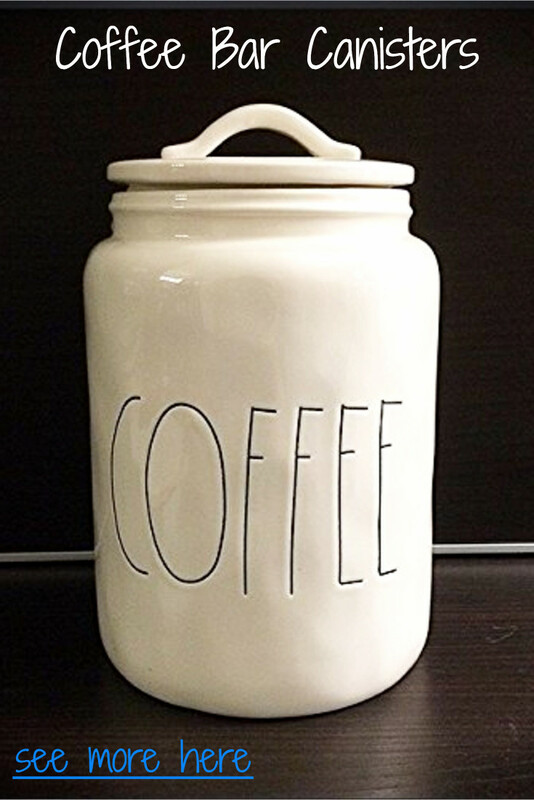 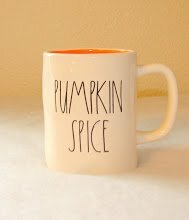 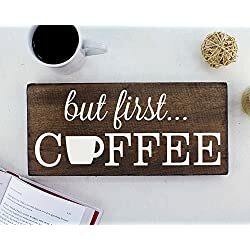 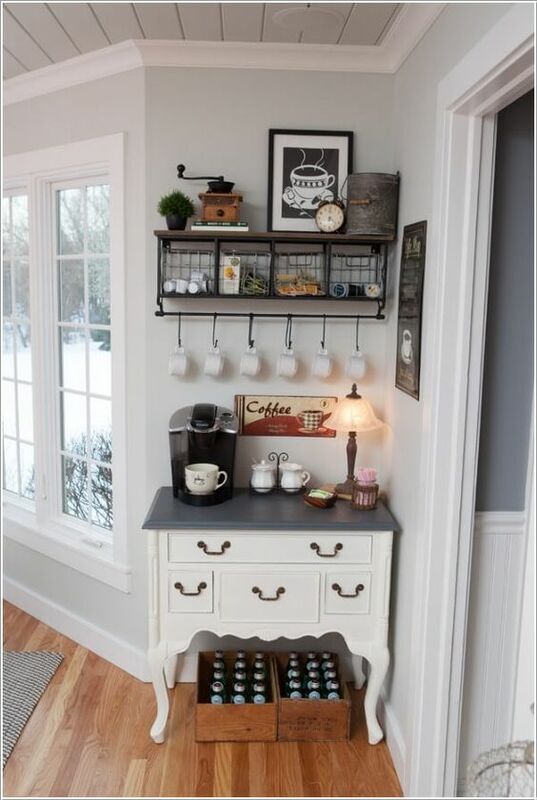 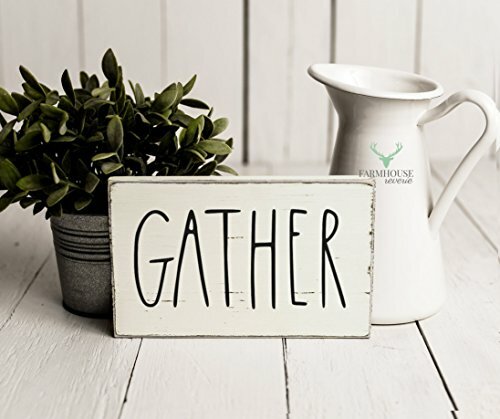 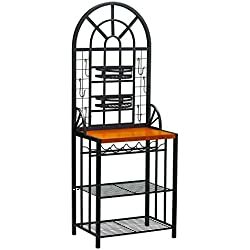 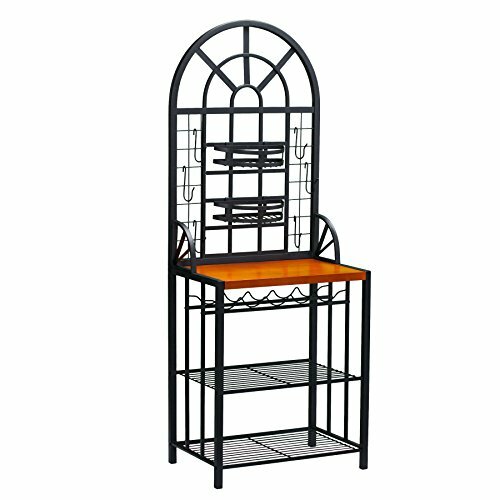 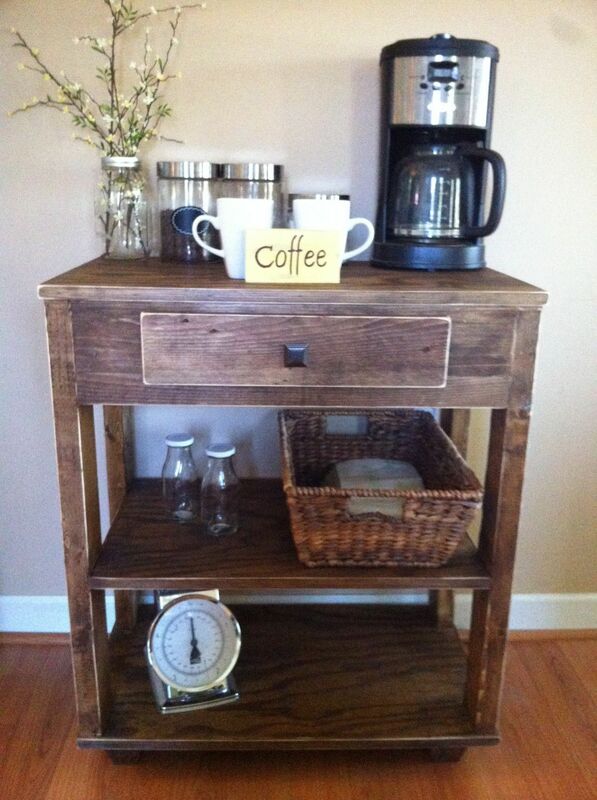 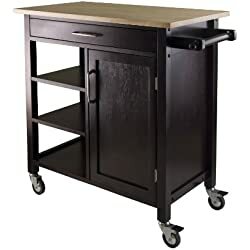 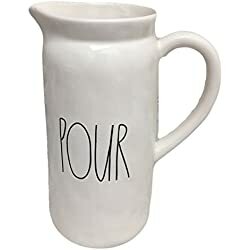 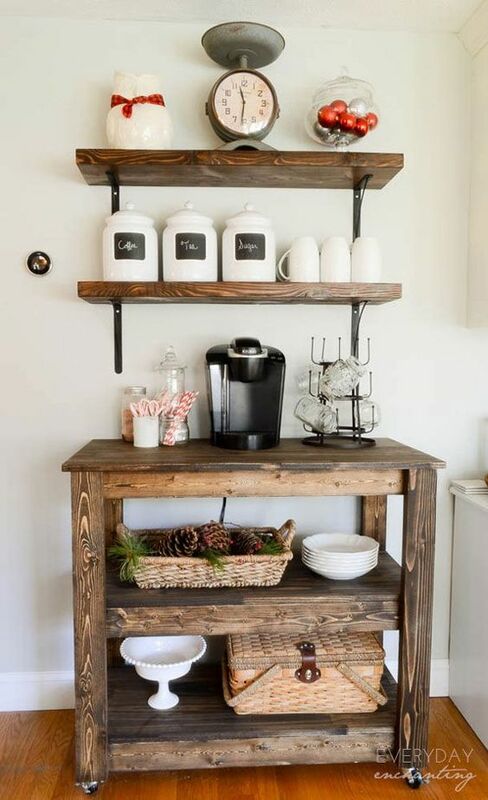 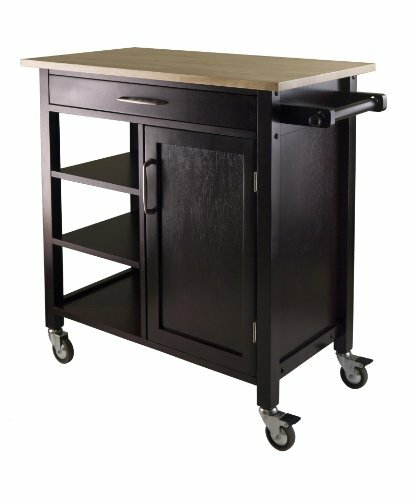 This is perfect for a small kitchen or if you don’t have room to put a coffee bar. 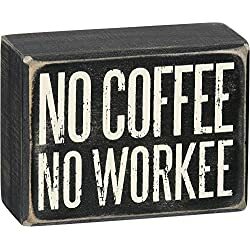 I like how they have this in the corner. 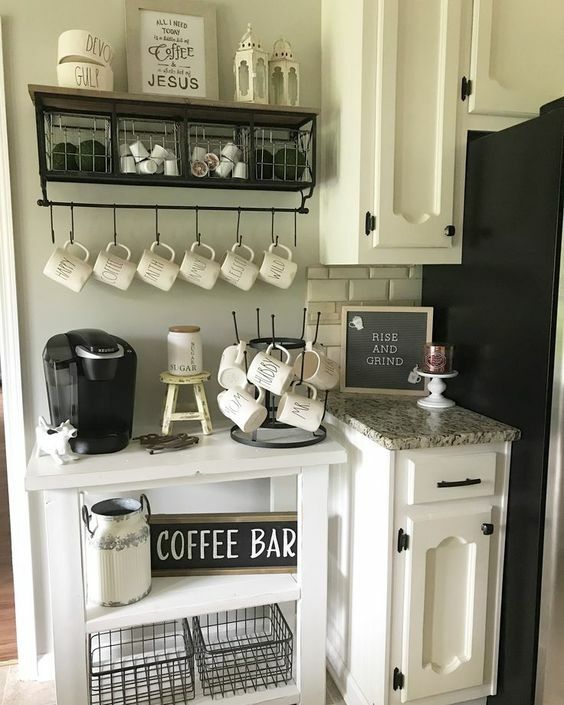 It’s great for small kitchens to save space!